5 BILLION spent on Halloween each year; the second biggest money making celebration of the year. Who said capitalism is dead? 2000 years ago the Celts believed they could talk with the visiting dead. The invading Romans turned this Irish Celebration into All Saints Day. Americans added candy and lots of it. Let’s get to the truth about Halloween and in its proper place in our culture. 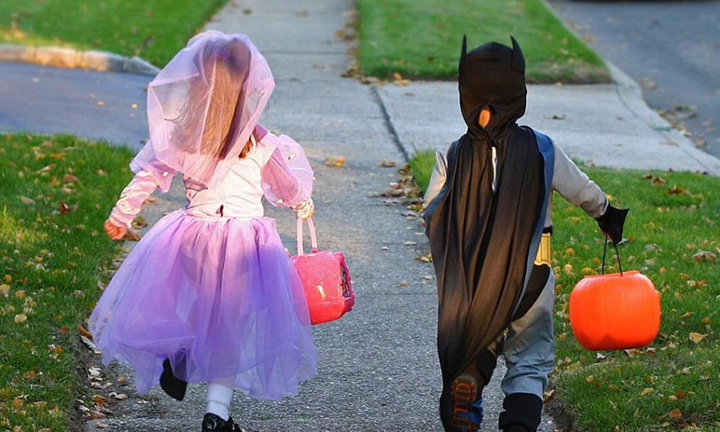 It’s a fun day, a time for kids to go out and get candy. It’s the time of the year to dress up and act silly. Halloween is not a time of year to believe there are ghosts and goblins or a time to talk and live with the dead. However, the Bible clearly teaches that the dead “are conscious of nothing at all.” (Ecclesiastes 9:5) Thus, they cannot contact the living. Frankly, I like the Halloween of my youth better than the new present-day Halloween. As a kid, the Crowell boys were professional Halloween candy collectors. Our costumes were made for speed. We traveled with two masks to take advantage of the best treaters. We carried hard wax for windows of homes who did not honor the celebration of candy giving. We carried two pillowcases to lug our haul home. We stashed our treasure under our beds. It was our candy vault. We were Halloween professionals. It was a sad day when the old age of 15 forced us into retirement. Tricks were a big part of Halloween in days of old. Dad told great stories of his youth. One Halloween he and his buddies placed an outhouse on a porch. My senior year a carload of sophomores hammered us with water balloons as we gather outside a burger joint. Nice trick! Not to be outdone by these whippersnappers we hustled out to Christianson’s chicken farm. They gave us 10 or so cartons of very old eggs. They were perfect for a baseball pitcher, like me. Unfortunately, as I fired an egg like my fastball the night watchman at the Plymouth dealership stepped out of the garage door. Perfect shot! Dead center on his chest. As eggs flew through the air many found their targets on the underclassmen. What fun! To make matters worse though, the night watchman’s wife was the secretary at the high school. The following morning the principal was having a not so friendly chat with us six seniors. Tonight the Crowell Ferch families are all dressed in joyful, wholesome costumes. 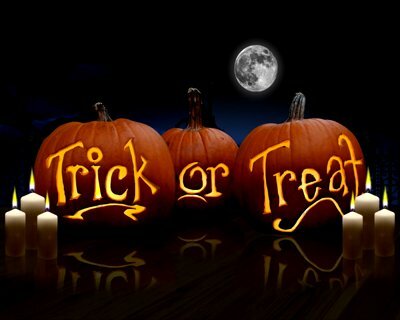 Great pizza, lots and lots of candy for treaters, no tricksters and even more love, make this night special. So thankful God includes celebration, fun, silliness, candy, pizza, and even lets us do crazy things like tossing a rotten egg. If you can’t give a kid a treat you’re too stingy. If you can’t laugh and have fun you are too serious. If you can’t spend the night with good friends and family you are too busy. If you live in the past beware of depression. If you live in the future beware of anxiety. If you live right here, right now, you are living well!